Nature’s Sunshine a leader in herbal tradition spreads the sunshine by bringing a superior herb to your home. Turmeric Curcumin harnesses the power of turmeric extract to promote a healthy inflammatory response to support joint, skin, brain and gut health as well as immune system function. One serving of Turmeric Curcumin is equivalent to 32,000 mg of whole root turmeric. Nature’s Sunshine Turmeric Curcumin is clinically studied and proven to deliver superior absorption and effectiveness. As an Herbal Leader Nature’s Sunshine flipped the script on the Turmeric and Curcumin product offering. 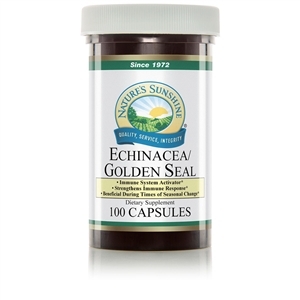 While most competing products deliver high levels of Turmeric and low levels of turmeric extract, Nature’s Sunshine delivers Turmeric root and HIGHER levels of the antioxidant-rich turmeric extract. 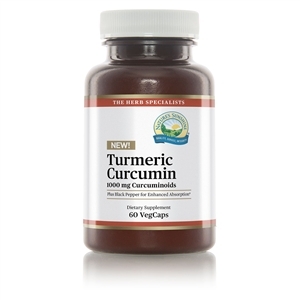 Curcuminoids is the primary active ingredients obtained from the rhizomes of the yellow curry spice turmeric (Curcuma longa L). Curcumin has been safely used for centuries in Indian Ayurvedic medicine. A potent antioxidant, curcumin supports a healthy inflammatory response and may help support joint, skin, brain and gut health as well as immune system function. As an added benefit we enhanced Turmeric Curcumin with Black pepper extract—a black pepper fruit extract from the Piper nigrum species, black pepper has been added to increase curcumin’s absorption. Black pepper may also aid with some occasional digestive discomfort and has antioxidant properties.